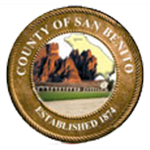 San Benito County has some of the best voters in the State, with a higher than average percentage of eligible population registered and a consistent higher than average voter turnout in all elections. Help us reach even higher levels – Register Now! See the proof, view our numbers by clicking on one of the graphics below. *NOTE: The images below are static. Click the graph to see live data.